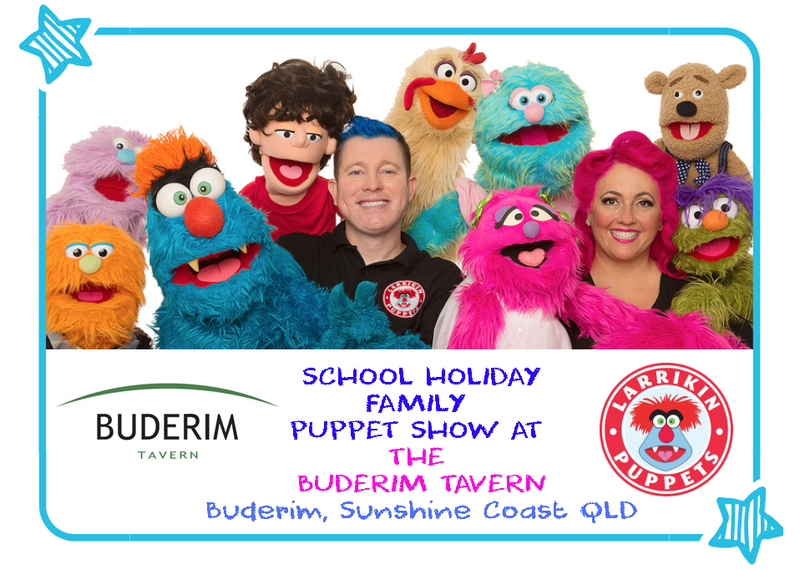 Larrikin Puppets will be performing two school holiday puppet shows for the whole family at The Buderim Tavern – 81 Burnett Street, Buderim (Sunshine Coast, QLD). The first one is on Tuesday 22 January 2019 starting at 4:30pm. The second one is during the Easter school holidays on Tuesday 16 April 2019, also starting at 4:30pm. These are a FREE family shows at Buderim Tavern! Book a table for dinner after the show! Larrikin Puppets are bringing their colourful and exciting puppet show to the Buderim Tavern for a special school holiday performance! Be delighted by Troggg the friendly blue monster and all of his furry, funny friends at 4:30pm before dinner! Puppeteers Brett Hansen and Elissa Jenkins have performed and trained in the USA with Jim Henson puppeteers from “Sesame Street” and “The Muppets”. 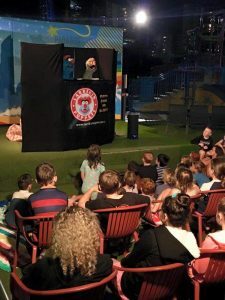 Larrikin Puppets has appeared at events such as the Woodford Folk Festival and the Puppetry Arts Festival of Brooklyn (NYC), and on TV shows The Bureau of Magical Things and Totally Wild! 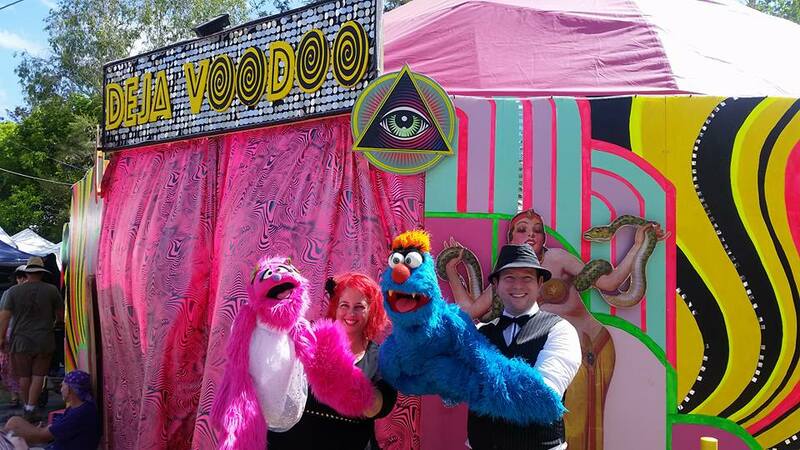 This is not the first event Larrikin Puppets has performed at pubs, clubs, RSLs, restaurants, hotels, resorts or halls. Larrikin Puppets has previously performed at Kawana Waters Hotel (Buddina), Tewantin-Noosa RSL, The Belvedere Hotel (Woody Point), Blue Pacific Hotel (Woorim), The Glen Hotel (Eight Mile Plains), The Gardens Club (Brisbane City), Seagulls Leagues Club (Tweed Heads), Tabatinga Tweed Heads (also at Seagulls Leagues Club), The Greek Club (South Brisbane), Casablanca Restaurant/Bar/Club (Petrie Tce, Brisbane), Paradise Resort (Surfers Paradise), Moura Kianga Hall / Kianga Memorial Hall, Paddington Community Hall, Langley Park Hall (Camira), Kruger Hall (Kallangur), Excelsior Band Hall (Maryborough), Kilcoy Memorial Hall and Cultural Centre, Burpengary Community Hall, Murarrie Progress Association Community Hall, Injune Memorial Hall, Mowbraytown Hall (East Brisbane), Wellington Point Community Hall and Rosalie Baptist Church Hall. 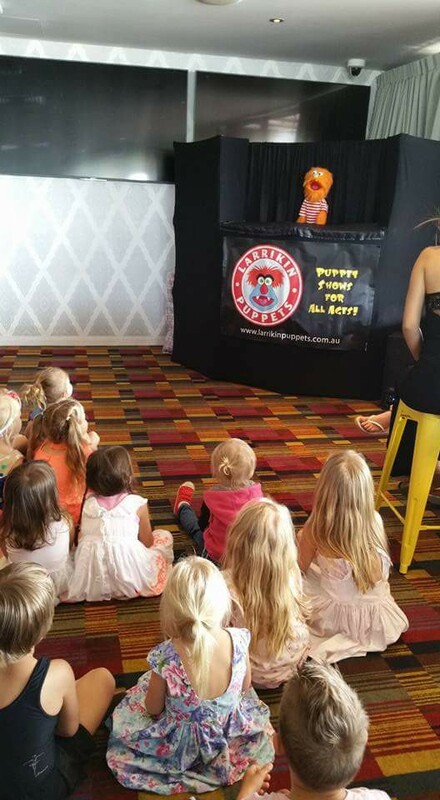 Larrikin Puppets has also performed in other parts of the Sunshine Coast such as Kuluin, Sippy Downs, Maroochydore and more. We hope you can join us at the Buderim Tavern.